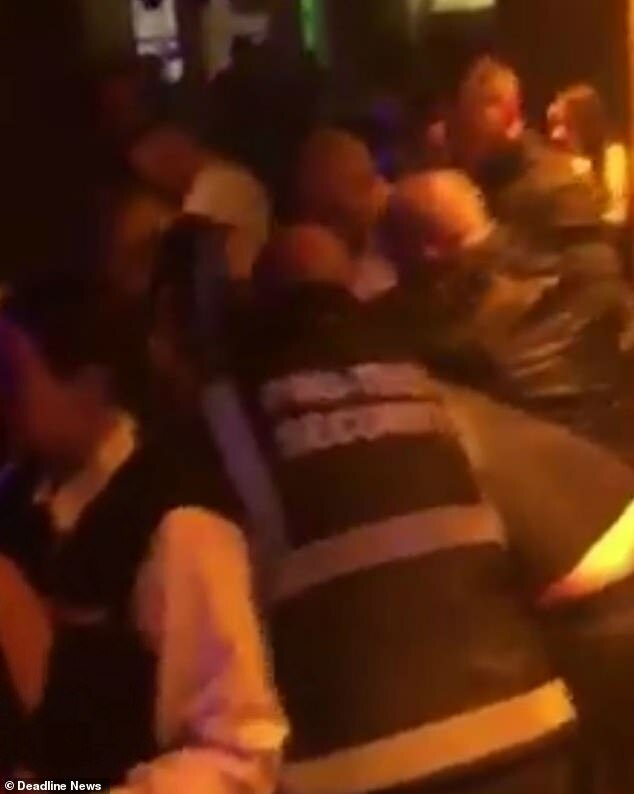 Police are investigating disturbing video which appears to show a bouncer get a clubber in a choke hold – before dragging him away. The bouncer appears to restrain the man around the neck and execute the hold while customers watching shout: ‘Stay away from him’. At least two other security personnel are involved in holding the man who did not appear to offer any resistance. The clip was posted on Tuesday afternoon to a private Facebook group for workers in the security industry, but has since been taken down. 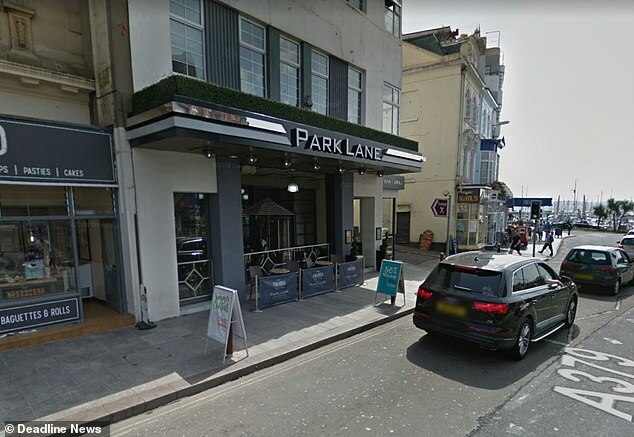 It was filmed at the Park Lane nightclub in Torquay, Devon, on November 11. A clubber was taken to hospital that night amid claims customers had been put in choke holds but it is not thought to the man in the video. Police have confirmed they are investigating an assault complaint at the club on that night. Two brothers who spoke to local media say they were taken to hospital and were left unconscious after they suffered from choke injuries. The clip begins with a shot of security staff dealing with a situation on the ground. They are surrounded by a group of door staff. Two bouncers are on the kneeling in the foreground, attending to a customer. Music can be heard playing throughout the rest of the club while a commotion with customers and security builds up. 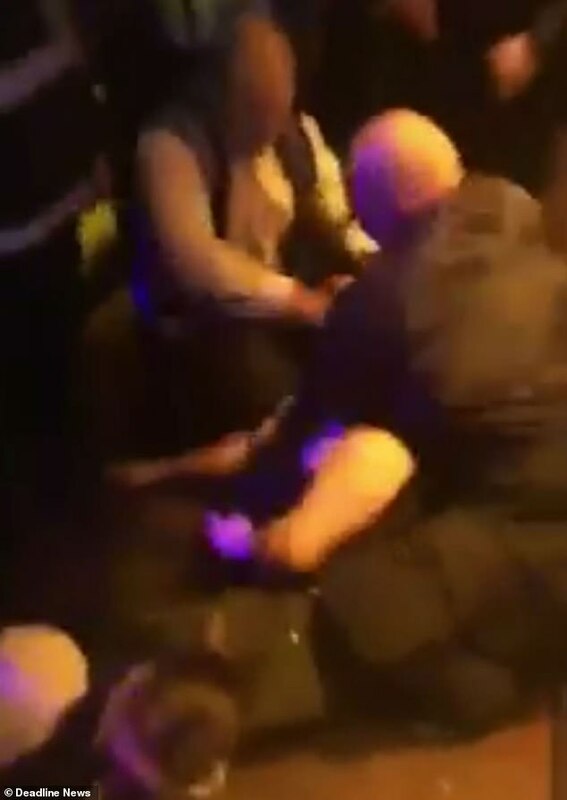 One of the bouncers, wearing completely black, pulls violently at the arm and shoulder of a man on the ground. The man appears not to resist. The bouncer then appears to wrap his arms around the man’s neck in a chokehold and tugs again violently. One of them taps on what looks to be another staff member on the ground, and they get up. The two, along with the black clothed bouncer on the ground, hoist the man who was earlier in the chokehold up. The man is dragged off in the opposite direction, with a staff member on each side. 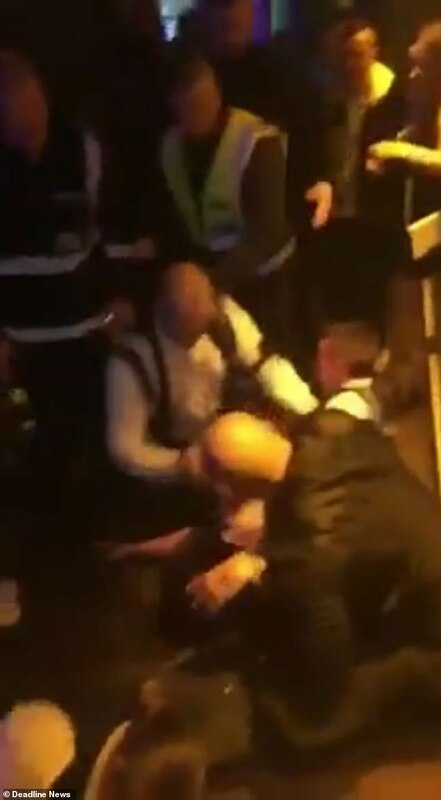 The other bouncer also curls the man’s arm behind him, and he is escorted away. A spokesman for Devon and Cornwall Police said: ‘This footage is from Park Lane, but only shows a very small snippet of a wider and longer incident of disorder on Sunday 11 November. ‘Police are speaking to numerous witnesses and the parties involved. Park Lane did not respond to numerous requests over several days for comment. 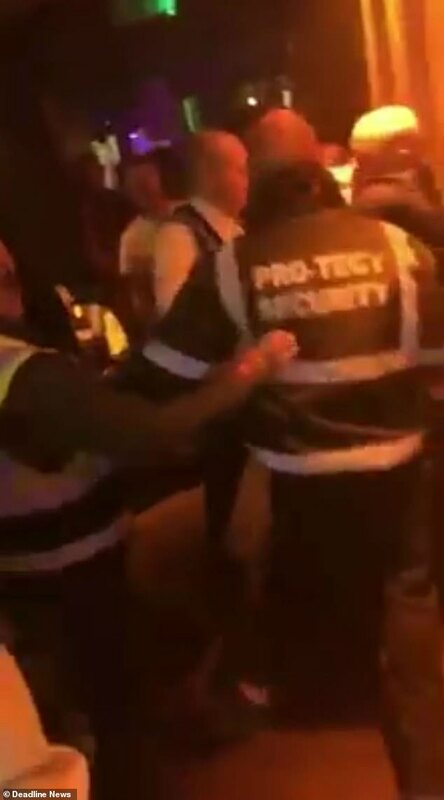 Last week bouncers from Manchester’s Factory 251 nightclub were filmed attacking a teenager and his friend. Footage of the rugby league star and his friend being knocked to the ground and repeatedly punched in the head went viral. The eight bouncers involved in the incident have since been sacked and the nightclub has had its licence suspended. MailOnline has approached Pro-Tect Security for a comment.